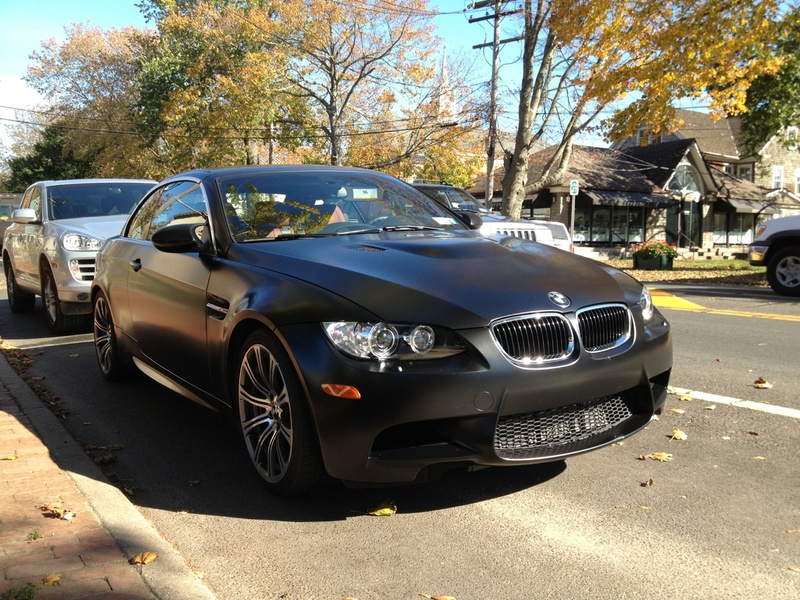 2011 BMW M3 Frozen Black Convertible: Smoked Out, High-Revving… but What Else? *These times are reflective of only the convertible E93 M3 with DCT trans. They are way slower than those of the coupe and sedan because the E93 has around 441 pounds of extra weight to lug around, with no extra power to compensate. The M3 is, in my opinion, the best all around sportscar currently made. It wins alll of the performance tests, has outstanding numbers for the price and luxury. It is the best combination of luxury and sport handling currently on the market today. Now that that’s out of the way, I can identitfy a few cons of the current generation M3, There aren’t many, but it does have a somewhat awkward DCT shifter, and lousy fuel economy. Fortunately, the E90 and E92 M3 could be forgiven for their gas guzzling motors, because they both handle, and go very fast. Sadly, this is not true for the convertible M3. The convertible M3 has a much much heavier curb weight, (4,145 pounds, vs. 3,704 pounds). Pretty much all of the plus points of the normal M3, are now compromised. Performance stats are lower across the board, including fuel economy. The already dismal reatings of 14 city and 20 highway miles per gallon, are now decreased by 1 on both counts. The BMW M3 is not worth it, unless you only want the V8 soundtrack and the looks, because the handling credentials just aren’t there, not anymore. The lesser BMW 335i, makes more sense to purchase as a convertible. This is due to the fact, that the twin turbo 3.0 liter motor can be tuned (via Cobb AccessPort, Burger Tuning JB4 chip, Dinan ECU, etc.) to match or outperform the M3 and all it’s 414 horsepower glory. All for about 15 grand less. So, If you want an M3, get a coupe (or sedan predating 2012 model year). If you need a convertible, than just buy a 335i or 335is (which shares that wonderfully quick, though awkward looking DCT trans from the M3) and strap a JB4 chip to it for $500, you won’t be disappointed. This entry was posted in Performance by race46bimmer. Bookmark the permalink. That’s my Frozen Black M3 parked infront of my wife’s office. Just wondering, did we talk to you about it? I happened to google FB convertible and this pic came up. I just saw the car and took a picture of it, first one I’ve seen in a convertible.